The Transitive property of Ballerness has poked its head out again. In case you’re unfamiliar with this property, check out this post where Miles and I explain the transitive property of ballerness and benefits. Marriott points transfer to SPG at a rate of 3:1 and vice versa. This creates some interesting value propositions going forward and lead me to investigate some redemption options with Starwood. I’ve encountered a number of times when it’s tough to get more than $0.007 per Marriott Reward point. I often find it a good deal getting a just penny a point. What I’ve found with transferring points into SPG is the redemption values go up as does choice of property. I think one of best results of this merger is the ability to use Marriott Rewards for SPG Cash & Points rates. 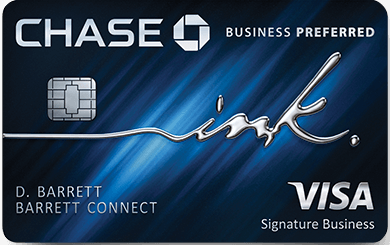 What are SPG Cash + Points rates? Here’s a look at the rates for SPG Cash + Points. Up to about category 5 there are some amazing deals to be had. I only say Category 5 because the rates start to make considerable cash and point jumps. What do these look like when converted you use Marriott points to convert into SPG? What are some properties that can be had for these rates? I love that SPG provides a very streamlined way of searching. I really like how it allows me so to see which brands are represented under each category. Click the link above if you’d like to do some of your own searches to investigate redemption options. A very cool property is listed: Palacio Del Inka, a luxury collection hotel. This hotel is located just outside Machu Picchu. A destination high on travelers’ bucket lists. What would those rates normally be for this property? Here’s the rate for a random weekend in October. Low Season for tourism. Doing the math this would mean your Marriott Points are worth (242-75)/15000 = $0.011 per point. This is quite a bit more than the consensus valuation of $0.007 per Marriott Rewards point. The prices of this hotel go up considerably during High Season. Holy Cow! This property gives Marriott Rewards a great valuation: (527-110)/18000 or $0.023 per point. Three times what experts say Marriott Rewards are worth. The biggest downside is that the rates aren’t always readily available. The great thing is that SPG provides a way to search for availability based on the rate. This makes planning a trip much easier, especially if you’re dead set on using Cash + Points. 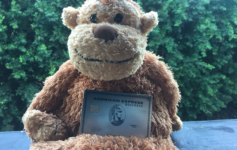 Previous Article Rumor Alert: Will Amex be making a big announcement on 10/5?